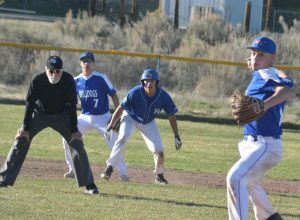 Moffat County High School's Ethan Hafey shakes off a Meeker tackle during the Bulldogs' Monday JV game against the Cowboys. 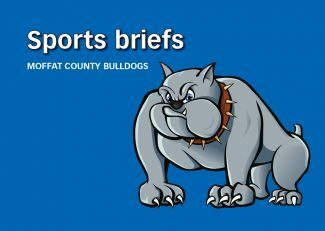 With hard-fought losses by their older compatriots over the past two weeks on their minds, members of Moffat County High School junior varsity football kept their eyes on the prize as Bulldog Homecoming began. MCHS’s JV squad maintained its unblemished record Monday with a 26-20 win over Meeker. A game that ultimately went to the Dogs didn’t start that way. The Cowboys added a touchdown in no time, picking up six points off a reception for more than 60 yards on the first play of the afternoon. With TD’s by MCHS’s Ryan Peck and Taran Teeter in the first half and another trip to the end zone for Meeker, the only advantage the Dogs had headed into the third quarter was the Cowboys’ struggles with extra points as Moffat County led 14-12. It was turnovers that would make the difference. An interception by Blake Juergens got the ball back just as Meeker was getting moving, and Juergens also scored on a short pass from Peck. Likewise, a fourth-quarter pick by Donnie Quick and the subsequent touchdown that came with it gave Moffat County a two-score advantage. 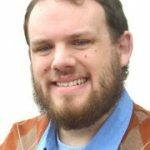 But, the Cowboys weren’t taking that lying down and caught a break with an unscathed touchdown catch coupled with a two-point conversion that put them well within an upset. Less than two minutes of game time took nearly 10 in real time as Meeker used all their timeouts while their defense kept pushing back against the Dogs. 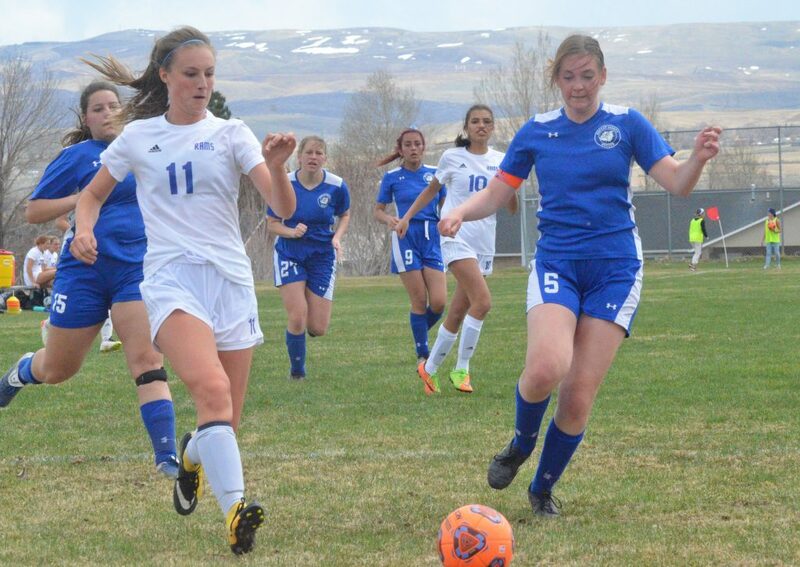 Still, the timing wasn’t quite enough as Moffat County punted with seven seconds remaining, needing only to stop the return. Close as it may have been, the win put Bulldog JV at 4-0 this fall. “They fought hard, and Meeker was a good team. 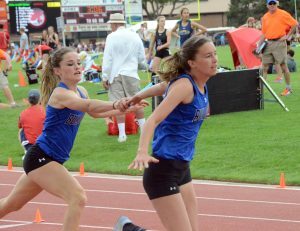 They were big,” said coach Ben Egger. Coaches Egger and Shane Hadley emphasized that players should be happy with the win but not yet satisfied, as the goal is to take every game for the remainder of the season. That objective has been on Juergens’ mind. “The way things are stacking up, it really looks like we could make that happen,” he said. 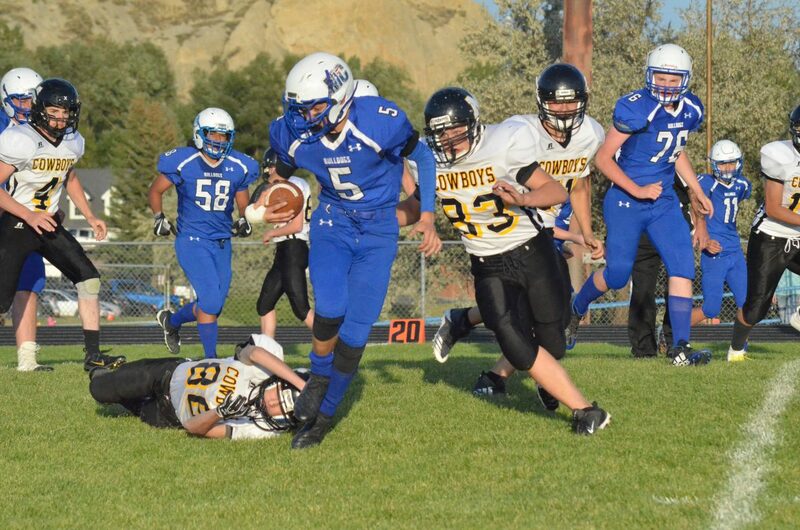 Moffat County JV will next travel to Basalt Oct. 1 following the Longhorns’ Saturday afternoon varsity game in Craig.